Vacation, the very word fills our heart with joy and ecstasy. Increased work pressure has glued our bodies to the work table or our working sites. After a strenuous routine, vacations provide a means to relax, and be relieved from high level of stress. However, going on a vacation is not that easy these days. With alarmingly increasing thefts and robberies, one needs to be careful and secure their belongings. The storage facilities around the town help you get a solution to this problem. You can lock away the critically precious items in any of the self storage facilities. and fly off to your favorite beach and sip pina coladas without worrying about a theft back home. Almost every storage facility provides e-surveillance. Security cameras eye the entire facility. The cameras are wired to a control room, where a person keeps an eye on the ongoing activities in the facility. Security Guards patrol the entire facility. They are often provided with whistles and walkie-talkies, to raise an alarm and communicate with one another. Many storage facilities use automatic alarm system which is wired to the control room. In case of any theft or breakage, the alarm is raised informing the personnel at guard. If you are extremely cautious about intruders, you can use a personal alarm system connected to your door. The locks are computerized to allow only limited user access. The locks are wired to the central alarm panel. In case anyone tries to unlock it without any authentication, an alarm is raised which informs the guards. Many facilities make use of finger prints of the working staff to unlock the doors of a facility. Within the staff, only trusted people are given the access to the doors. To the users, a swipe card is provided. With the help of swipe card the user can raise or lower the barriers, or open their storage facility. For the time being you are out of the city, you can rent your place to any other person. The rent generated can be used to pay for the storage facility. The excess amount can be adjusted in your maintenance bills or your vacation budget. 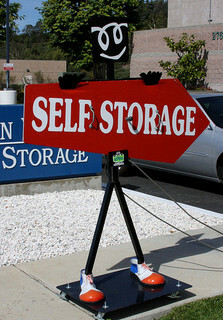 You can downsize your home with the help of a storage facility. Downsizing can lead to proper management of your home space. You can redecorate your home with new articles, with the safe insurance of the previous ones. You can enjoy your vacations peacefully without any tension. Storage facilities should not only be neat and clean, but they should also be gated and well lit. Maintained facilities have an added advantage that the stored stuff is secure from moisture and rotting. In case you have antiques or piano to store, the storage facilities provide you with climate controlled units.